Healing from an injury can be a drawn-out, difficult, and painful process. There are new, cutting edge methods to help facilitate the process. 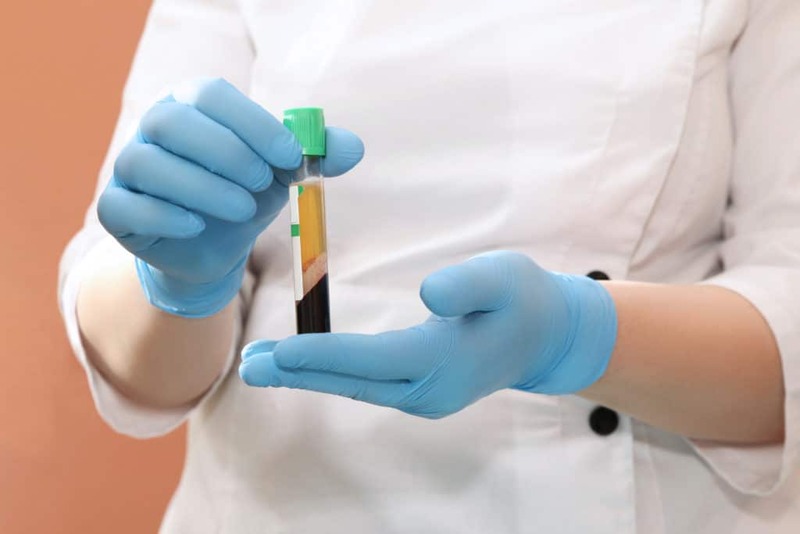 Platelet rich plasma (prp) therapy is a newer treatment that can accelerate your recovery. We will explore some of the expected results and benefits from the therapy, as well as the typical PRP injection recovery time. Platelet Rich Plasma Therapy is essentially the injection of a highly concentrated dose of platelets into an injured or damaged area. How does it help a patient’s recovery process? Per the University of Rochester Medical Center’s Health Encyclopedia, “platelets are tiny blood cells that help your body form clots to stop bleeding.” However, that’s not all they can do. Platelets also contain growth factors or proteins that promote the healing of injuries. The premise of the therapy is to place extra platelets in a damaged area which will provide the injured area growth factors so it will heal quicker. Some people associate stem cell therapy with PRP, as both are intended to accelerate natural processes by adding a high dose of natural cells. From beginning to end, the process of PRP is quite simple. To begin, a medical professional will draw blood from the patient. With the help of a centrifuge, which is a specialized machine, a medical professional will separate the platelets from other blood components, such as red blood cells. The platelet rich blood that they pull from the machine typically contains somewhere between 5 to 10 times as many platelets compared to a typical blood sample. Injection: Platelet rich plasma injection is the most common way to treat localized injuries. Imaging technology is used during the injection procedure to ensure that the PRP is placed in the proper location. For instance, let’s say that a patient wants to recover from a rotator cuff injury. One of our team members will draw blood, collect a high concentration of platelets, and inject it directly into the patient’s rotator cuff to accelerate their recovery. Surgery: Instead of injecting the plasma, some medical professionals have begun to integrate prp into surgeries, usually for a soft tissue injuries. Having the platelet rich plasma integrated into the actual damaged tissues during surgery is another effective way to jumpstart the body’s healing process. This can also serve as an anti-inflammatory, which is important during surgery. Who Should Use PRP Therapy? Over the last few years, medical professionals have found a variety of uses for PRP therapy. Some of these have been been used more frequently with consistent success, while other uses are still considered experimental. Here are a few common reasons that people use PRP therapy. Sports Injuries: Because of the unpredictable, repeated motions that put excessive stress on the body, sports often lead to injuries that affect the soft tissues, such as muscles, tendons, and ligaments. Injuries such as tennis elbow, achilles tendonitis or tears, and rotator cuff tears are a few examples of commonly experienced sports injuries. Physical therapy and time off can speed recover from these injuries. However, when therapy and rest are combined with prp treatments, the process will be even faster. Plastic Surgery: This is a relatively common use of prp therapy. Just as with any other type of surgery, a medical professional can work the plasma into the tissues to help regenerate the tissues and curb the swelling. Osteoarthritis: Osteoarthritis is a condition that causes significant pain and swelling, particularly around the joints. Doctors have used PRP therapy as a way of reducing that swelling, and therefore, the pain associated with it. Hair growth: Some doctors have put PRP into the head, reducing the swelling that can prohibit hair growth. PRP Therapy is a simple process. Most injections are performed as outpatient procedures. Instead of scheduling a hospital visit, come to Arizona Pain and Spine Institute for your PRP treatment. From the time you arrive to the time you leave our office, one session of PRP therapy usually takes about two hours. Most people require one or two treatment sessions to achieve the desired results, but occasionally a patient may need as many as four. Generally, someone who undergoes a treatment session will be able to go about their normal daily activities by the next day. While the PRP injection recovery time is quick, the positive results take a bit longer to begin revealing themselves. As this article from StemCell Arts points out, since “the goal of PRP therapy is to actually heal you, the results are usually long-term, often permanent.” This focus on the acceleration of long-term health instead of short-term pain relief distinguishes PRP therapy from other treatments. Another benefit to PRP therapy is that there are few negative side effects. Here are the most common potential side effects that you may experience with prp therapy. Pain and swelling: The pain and swelling that you are already experiencing because of your injury may become more acute for a few days after your treatment. This is a common side effect. Allergic reaction: This is a rare side effect that needs to be studied extensively before we can explain why. If your body responds to the treatment in this way, it is important that you visit your doctor as soon as possible. Blood clots: While this does not happen often, it is a logical side effect, since a big part of platelets’ function is to form blood clots. If this occurs, you should immediately visit your doctor, who will be able to treat the clot. There is one significant catch to PRP therapy: most insurance companies refuse to cover it due to the lack of conclusive research studies proving its effectiveness. Without insurance, the PRP treatment can certainly put a dent in your wallet. If you are interested in using PRP therapy to accelerate your recovery from an injury, contact us and schedule an appointment today. We want exactly what you want: to help you get better!